Thursday 26 November. Cost £10. Plants, CookShop, candles, pet supplies, children’s toys, clothing, shoes, foodhall, Christmas items, restaurant, café and 2 coffee shops. 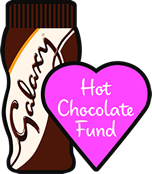 Pick up: Mytholmroyd 9.40, Mytholm Meadows 9.45, Heptonstall 10.00. Transport can be provided to pick up points if needed. Contact Jane Hartmann 01422 846675 to book. Thank you! Thanks to all for the generous support for our second Christmas Lunch! 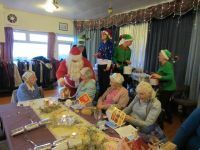 We had 65 guests, served by Village Team elves, and we sent over 15 meals to local houses. 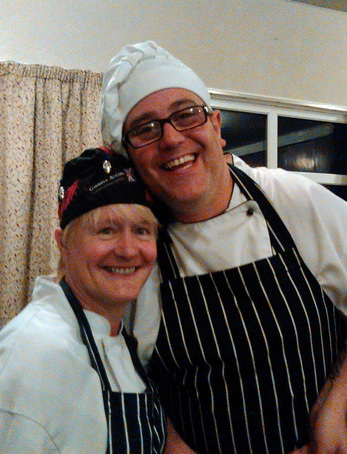 The meal was cooked for us at no charge by Rik Jones, Head Chef at Devonshire Hall, University of Leeds, assisted by his partner Sarah Wilmot. The food was kindly supplied by Hebden and Poole veg suppliers and Sykes House Farm butchers, both based in Wetherby. 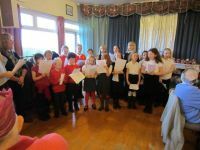 The wonderful Heptonstall School Choir entertained the guests with beautifully sung Christmas carols as well as more up to date songs. 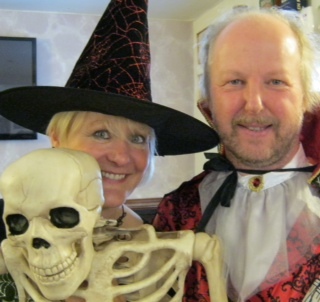 Guests at the Heptonstall Village Team lunch were surprised and a little taken aback when they were served by witches, skeletons, Draculas and other spooky creatures. There were over 20 guests at this fun event. Anyone is welcome to come and join in the fun….. You won’t be discriminated against…. even if you think you are under age! Honest! These events are lively, intelligent fun and aim to get the generations to mix up a bit. We often get old friends up from Mytholm Court and Mytholm Meadows as well as Elphin Court. It is all too easy to get caught up in a fast paced hi tech life. 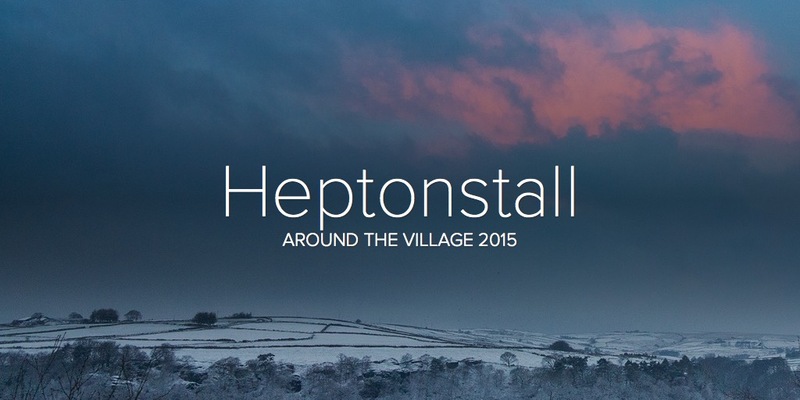 What a wonderful, easy going funny evening at the Heptonstall Sports and Social Club recently. Laminated board, square cardboard horses, and a pack of extra large playing Race Night cards was all it took to get people of their seats and shouting for their particular nag to win! The evening was only a fiver and included a pie and pea supper. 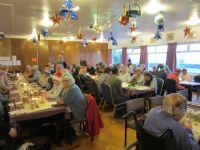 Funds were raised for much needed running repairs, and to convert one of the toilets for wheelchair access in time for the Heptonstall Village Team Christmas Lunch.